It is back! This Sunday sees the return of the much anticipated fourth series of Poldark. The highly acclaimed drama is shot across Cornwall; we may have even spent a few long lunches trying to spy Ross Poldark when they were last in Charlestown! To celebrate the launch of the latest series we are offering guests 25% off a 5 night stay with us starting from 11th June – that’s 5 nights for less than £70. Simply book from this Monday for 5 nights and add in the code POLDARK1 at checkout. 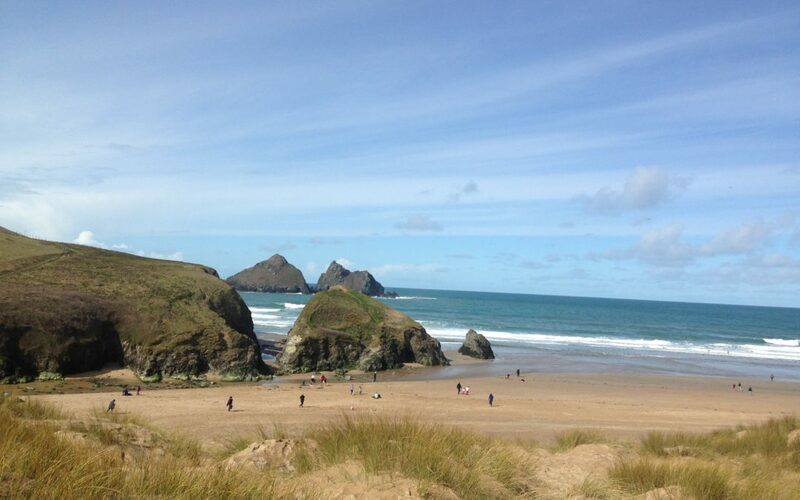 Spend the day on Holywell Bay. This has to be one of the most stunning beaches on the North coast and where many of the beach scenes are filmed. The car park is National Trust and we love taking the sledge and sliding down the dunes! Charlestown is where we have watched much filmed and it is the often used as Falmouth or Truro. In one of the episodes the small beach also doubled as France…we did smile! Levant Mine – a National Trust mine where Ross and Francis debate the capabilities of the engine there. Bodmin Moor – a lovely day out whether you are a Poldark fan or not. The Moor is home to scenes outside Ross and Demelza’s cottage. Not a day out – but download the Poldark Experience App to make the most of your stay,. I have to say Cornwall is pretty lush at the moment. Lush and green, lush and hot and lush and summery. It really is looking stunning and we are having some great days out. As well as nice days out we are getting in some lovely guests. I was just enthralled to listen to a guest telling me how it his 30th wedding anniversary so he and his wife are spending 30 days travelling around to celebrate – what a brilliant idea!